Comment: The artist, as most readers of this page know was remarkably prolific in a number of realms--- pulp magazines, trading card art, etc.-- here's the men's magazine interior specialty. While, Yes he did many… Personally I find this one more convincing and so, in a sense, “better” than many. Maybe it's that the violence is a tiny bit farther in the future than in many instances. 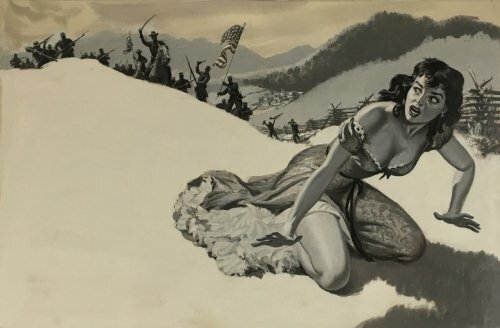 The dramatic composition, shadows and the skill with which the woman is painted raise this above the telling of an (often-imagined) historical moment. There is a sense of drama here that is often lacking in men's mag interiors, particularly those by lesser talents. 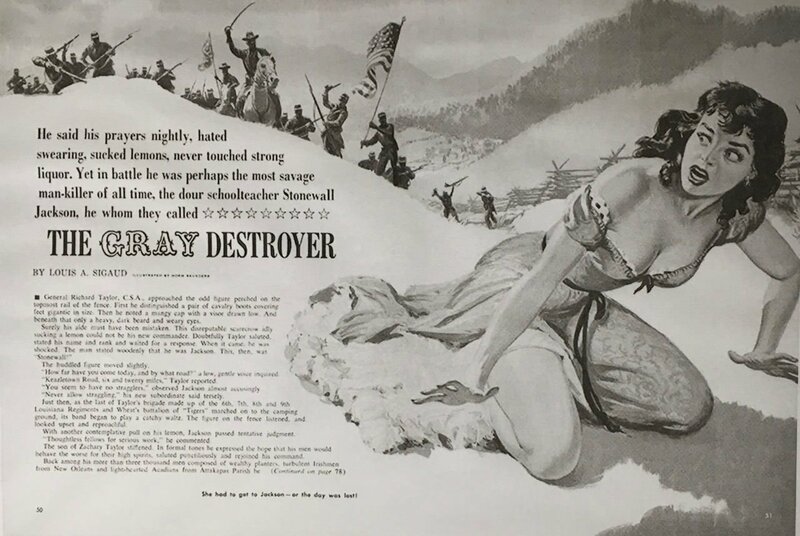 Publication Information	 Story illustration for “The Gray Destroyer” by Louis A. Sigaud published in True Adventure magazine in April 1962.